Visa has launched ‘Your Child, Every Child’ campaign in collaboration with Souq.com in support of UNICEF’s ‘No Lost Generation’ initiative. The Visa Souq campaign will run during the Back to School promotion period from September 3-9, 2018. The funds will be entirely donated by Visa and no amount in addition to the cost of the Souq purchase will be debited from the Visa cardholder’s account. The funds will support UNICEF to educate children in conflict affected countries. 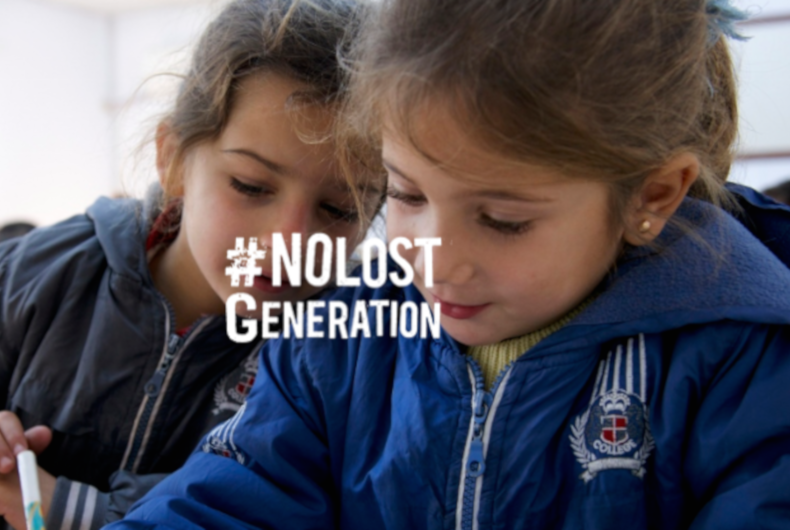 “To be able to provide a service for our customers to be part of a great cause, helping children through the ‘No Lost Generation’ initiative, is something we’re very pleased to be able to do. By simply making their purchase on Souq.com with Visa, we can support these children’s education at a time when families are focused on preparing their own children to go ‘Back to School’. To come, together with Visa to support UNICEF and make a difference in these children’s lives, is something we are proud to be part of,” said Warrick Godfrey, Senior Regional Marketing Director at Souq.com. Under the terms of the promotion, any Souq customer can participate in the campaign using a Visa card for the purchase of any item within Souq’s dedicated UAE ‘Back to School’ category, available on the UAE Souq.com website. At the end of the campaign, Visa will use the number of transactions to determine the total amount of the donation to UNICEF, which it will then donate to UNICEF’s ‘No Lost Generation’ initiative. Full terms and conditions of the promotion are available on the sites visa.ae and souq.com. “We strongly believe that children’s issues are everyone’s business. The only way forward is addressing challenges facing children, together. Visa’s commitment to supporting the ‘No Lost Generation’ cause is a great testament to that commitment to change with Souq.com. The donation from VISA will help children access the education and the leadership opportunities they deserve to reach their full potential,” noted Eltayeb Adam, UNICEF Gulf Area Office Representative.